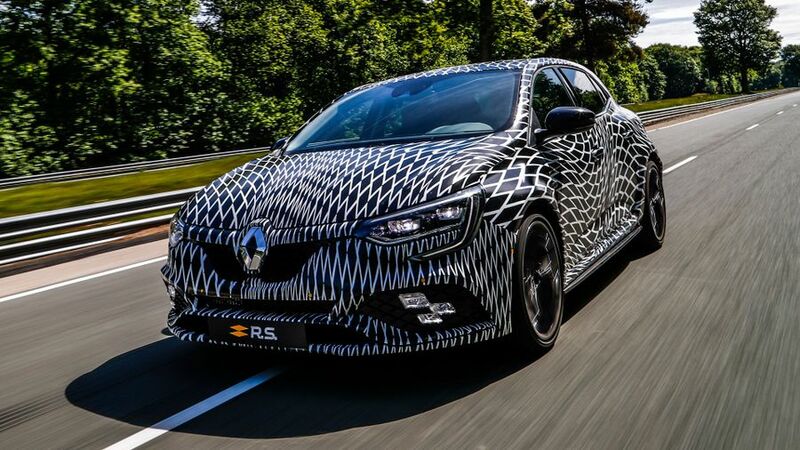 The forthcoming Megane Renault Sport will have a first for a hot hatch, claims the company – four-wheel steering – as well as the choice of two different chassis set-ups. 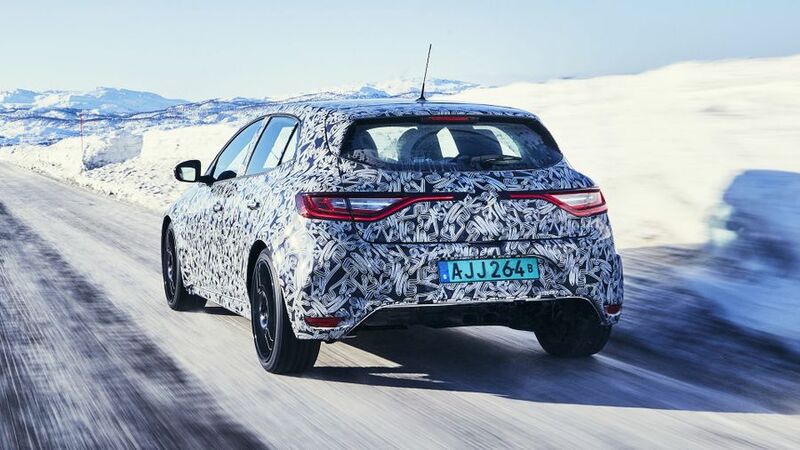 The four-wheel steering system is called 4Control and we expect it to operate in a similar way to the system already used in the GT versions of the latest Megane. It works by using actuators on the rear axle to slightly turn the rear wheels; and, according to the company, this makes the car both more agile and more stable. Renault hasn’t confirmed exactly how the system will be calibrated in the RS, but In the GT, It turns the rear wheels in the same direction as the front wheels at high speeds (making the car more stable in bends); and, at low- to medium speeds, the rear wheels turn in the opposite direction to the fronts, making the car more agile. At the same time as making this announcement, Renault has also confirmed that buyers of the RS will have the choice of two chassis settings. The Sport chassis is aimed at more everyday use, with a more comfortable ride, whereas the Cup chassis is more extreme and designed to give better performance around a track. The company has also previously announced that the car will also come with a choice of two transmissions: either a manual gearbox or a semi-automatic dual-clutch gearbox, similar to the one used in the Clio RS. The one thing the company hasn’t revealed yet is what the car – a rival for the likes of the Ford Focus RS, Volkswagen Golf R and new new Honda Civic Type R – will look like. 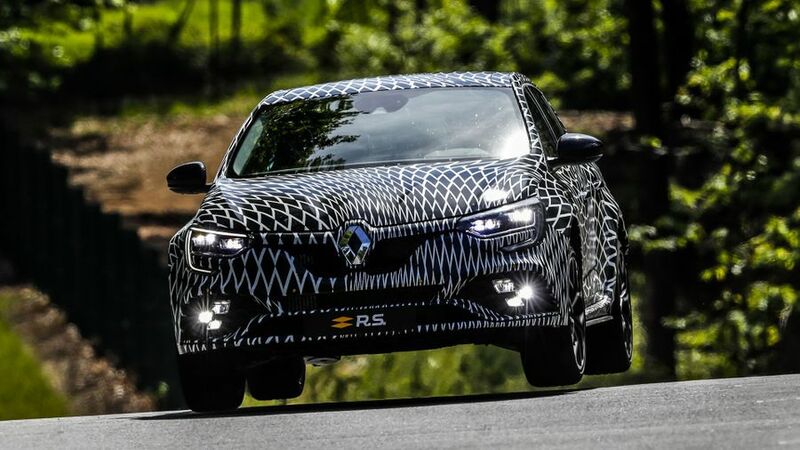 All we have seen so far are pictures of a disguised car, but it’s already clear that the Megane will be rather more restrained than, say, the extravagantly winged and -spoilered Civic Type R.
Likewise, Renault has said nothing about how much the car will cost, but the company has said that it will be officially unveiled at the Frankfurt Motor Show in September, before going on sale in Spring 2018. Interested in buying a Renault Megane?